(NaturalNews) It's a subject we've covered in the past, but it's one well worth revisiting. I'm referring to the health risks associated with exposure to fluoride, and what you can do to protect yourself from its debilitating effects on the brain. Although it has been shown in numerous studies that fluoride is a poisonous substance that causes neurotoxic and neurodegenerative damage to the human brain, it is still added to public water supplies in almost every part of the country. In fact, more than half of the U.S. population drinks fluoridated water every single day. Fluoride has been shown to have no health benefits when taken internally; its only purported benefits are topical, and the drinking of water contaminated with this highly toxic substance only leads to illness, not health. Only about half of the fluoride you ingest is excreted by the kidneys; the rest accumulates in the body, mostly in calcifying tissues including bones and the pineal gland, but also throughout the brain and other organs. More than 100 studies have shown that fluoride damages the brains of animals, and dozens of other studies have indicated that fluoride exposure lowers IQ in humans. "According to the National Research Council (2006), 'the consistency of the results [in fluoride/IQ studies] appears significant enough to warrant additional research on the effects of fluoride on intelligence.' The NRC's conclusion has recently been amplified by a team of Harvard scientists whose fluoride/IQ meta-review concludes that fluoride's impact on the developing brain should be a 'high research priority.'" But no one seems to be making further research a priority, and in the meantime, we continue being poisoned through our water supplies, leading many to believe that fluoride is being deliberately used to "dumb down" the public. Fluoride has also been linked to thyroid problems, arthritis, bone damage, bone cancer, hip fractures, pineal gland damage, impaired kidney function, reproductive problems and more. What I'd like to address here is what can be done to protect the brain from the toxic effects of fluoride exposure, and one of the best ways to do so is through adding turmeric to one's diet. A recent study conducted by a team of Indian researchers found that regular consumption of turmeric helps protect the brain from the neurodegenerative effects of fluoride. Turmeric not only neutralizes existing fluoride in the brain, but also protects it from additional fluoride poisoning, while reversing the damage already caused. "Testing the effects of turmeric in mice, the researchers observed that curcumin, the most well-known nutritive compound in turmeric, produces powerful antioxidant and anti-inflammatory activity that protects against multiple forms of cell damage, including singlet oxygen, hydroxyl radical and superoxide radical damage. 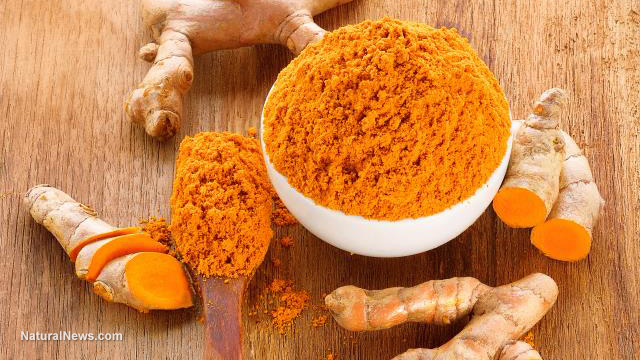 Curcumin also helps spur the production of glutathione, the body's 'master antioxidant' that studies have shown plays a primary role in guarding against oxidative stress." As I mentioned above, we've covered this subject before, but it's so important that it bears repeating. If you're not already adding turmeric to your diet on a regular basis, you should begin doing so immediately. Turmeric is not only one of the best ways to protect yourself from the neurodegenerative effects of fluoride on the brain, but it provides a number of other health benefits as well. These health benefits include cancer prevention, diabetes control, heart disease prevention, cholesterol reduction, immune system boosting and many more. Turmeric is also a delicious and versatile spice that adds color and flavor to a wide range of dishes, including rice, soups, meats and vegetables, to name just a few. It's also inexpensive and widely available, but as with any spice or dietary supplement, make sure you obtain only pure, organically-grown turmeric from a trusted source. Once again, a natural remedy has proven to be far more effective than pharmaceuticals in treating a range of conditions. Who needs drugs when nature provides us with everything we need to stay healthy?